Watercolor & ink on 14x17 watercolor paper. 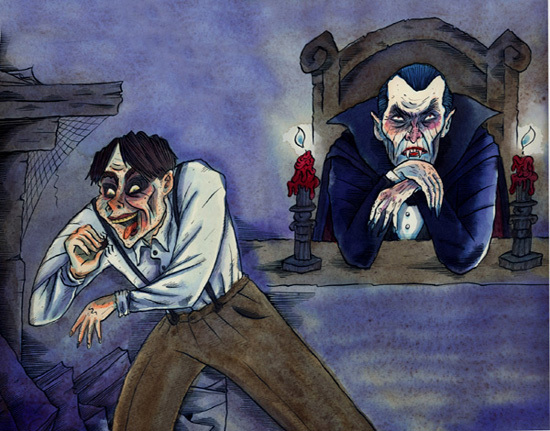 Art for the 13th spread from the Steve Niles authored DRACULA book. Image has been cropped slightly. Art will be neatly signed on bottom right.